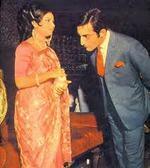 Mansur Ali Khan Pataudi bids farewell to his ardent fans in India and around the globe! He was suffering from a lung disease and his exemplary long innings came to an abrupt ending on 22 September 2011 � the charismatic Prince of Indian Cricket, born on 5 January 1941, the 9th Nawab of Pataudi, a Prince from both sides of the family, to remain a memory in our hearts, but never to be forgotten! There was a time when the name 'Pataudi' was synonymous with Cricket in India and the names of �MAK Pataudi�, Bishan Singh Bedi, Prasanna, Vishwanath and Chandrasekhar were on everyone's lips! It was Pataudi, as Captain of the Indian Cricket, who taught the team members to feel the National pride and to play for �India�! There are many talented cricketers in India and abroad, but there will never be another like �Tiger Pataudi� � he was the master in the pitch, both in batting and bowling � bringing glamour, power and speed on the field! He was an inspiration to his team members and brought cricket to every household in India. It was the radio that brought cricket matches even to the remote villages in India in the sixties and seventies, and people flocked in village teashops to listen to the commentary -- and the name �Pataudi or MAK � came across the airwaves and they cheered for their hero! He followed his father�s footsteps into the world of cricket -- his father, Iftikhar Ali Khan Pataudi who was the 8th Nawab of Pataudi, represented India and England in the Test matches. Pataudi was in England recently to present the �Pataudi Trophy�, named after his family, to Andrew Strauss of the England team. Pataudi has played for India in 46 Tests during his charismatic, brilliant career between 1961 and 1975, and he was the captain for 40 of these Test matches! 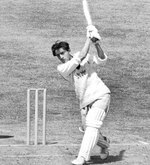 His maiden century, 113 was in 1962 in his 3rd Test against England in Chennai, and his best score was 203 not out against England in 1964 in Delhi. He has also played for Oxford and Sussex Counties in England. �Wisden� the International Cricket magazine, following India�s first win at the International Test series against New Zealand, named him �Man of the year Cricketer� in 1968. The Nation honoured him with �Arjuna Award� in 1964 and Padmashree in 1967! He is my cricket hero of all times, and I am sure most people in India, especially in Kerala, would feel the same about Pataudi, a real Prince and a legend in Indian Cricket! It was Mansour Ali Khan Pataudi who brought glamour to the Indian cricket and of course a new style in cricket, winning the first Test series in New Zealand in 1968, 3-1, as the Captain of the Indian team! 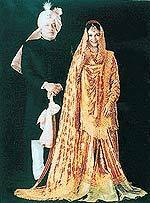 The dashing young man, the youngest cricket captain at 21yrs was the heartthrob of many and when he married the most beautiful and talented actress Sharmila Tagore, they became the 'Royalty' in India, but then, they were already Royalty, one by birth and the other by marriage! My thoughts are with Sharmila, their son, Saif Ali Khan and the two daughters, Soha and Saba. Indian cricket lost its 'Royal glamour' and a great talent! Pataudi will always be in our hearts as the greatest Indian Cricketer. May you rest in peace! hi, thanks for the good write up. felt really bad for the family. it was a little too early for him to go .